Texture: It's slightly dry but not flaky. Although it lacks any moisture it maintains its smooth, even surface. 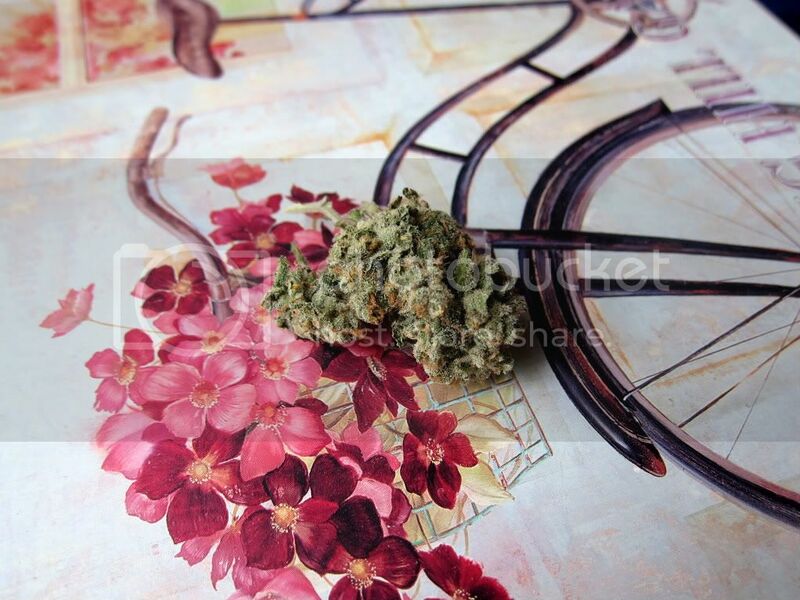 Like Blue Dream, J1 is very easy to pull apart and does so in clean, quality pieces. I hate when I have to tear at the nuggets in order to break off smaller pieces - I don't like touching the weed so much, as it compromises the quality. With this J1 strain I only gently pull and small pieces easily come off, pieces that are perfect for packing a bowl. Looks: The eighth I happened to come across was in the form of one HUGE nugget, it was literally almost the size of an acorn. Alas, I failed to take a photograph of it and the photos you see feature the almost-acorn-sized-nugget broken apart. Regardless, the color of this strain is one of my favorites, olive green. The nuggets are slightly airy because of the Sativa in there, but barely so - I think it has an overall good density. Smell: It smells like artificially-flavored melon candy. It really does. J1 doesn't have that outdoorsy, musty smell that a lot of strains have. It's rather sweet, and smells as if there were fragrance added to it. I was reluctant to be a fan at first, but the smell quickly grew on me. Cheers for the smell of artificially flavored candy! Taste: Slightly sweet, but not too strong. The taste in your mouth disappears before you know it. 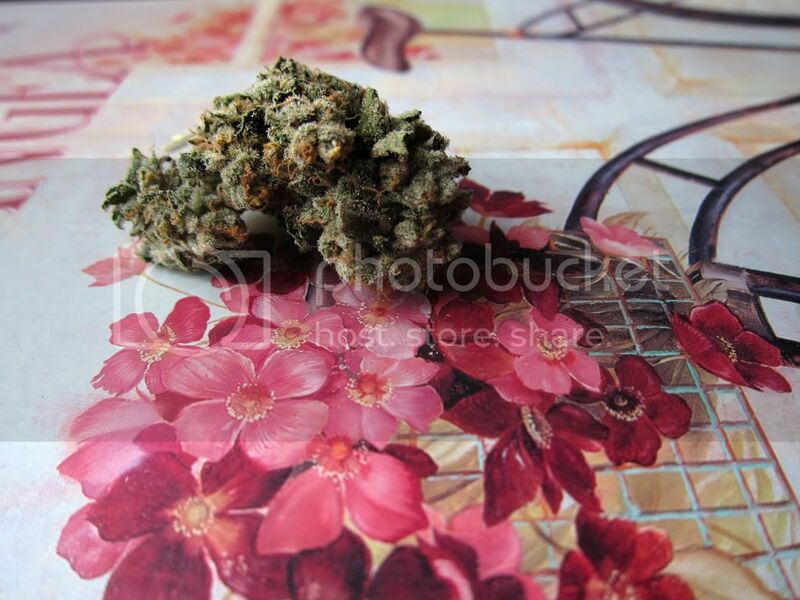 Buzz: This J1 strain is of flawless quality, so the high is very strong. One hit will last upwards of one hour. 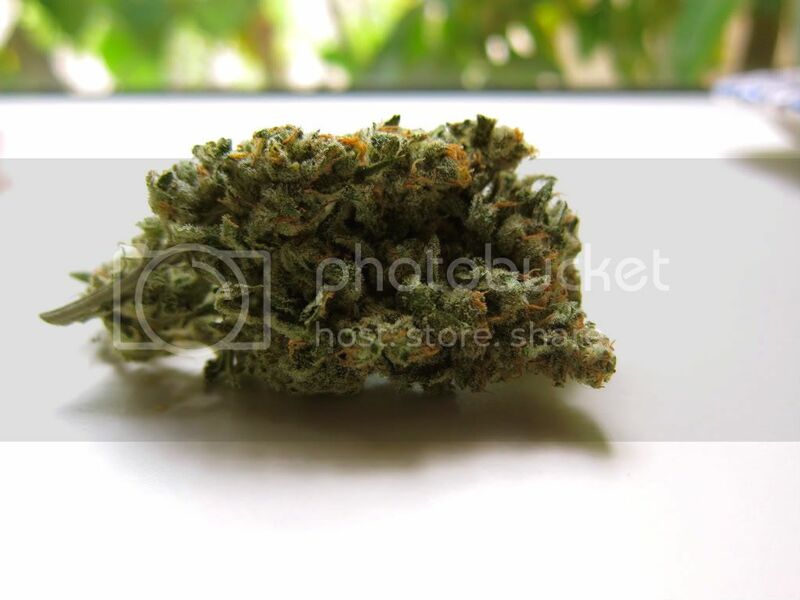 I usually avoid Sativas because I simply have no use for them, I only come across them when someone insists upon an amazing hybrid. This J1 strain was recommended to me on a similar guarantee. I felt this to cause too much of a head high for me, I almost felt like I was getting a headache. But I have to say that I think smaller hits would solve that problem, as my first attempts were rather ambitious. If you like that head high and you somehow avoid that pounding effect in your head, this is perfect. But I definitely need a little more of the Indica to kick in. At least it looks great on camera. P.S. Does anyone like Taylor Swift? I just listened to her new song "Mean" from her album coming out next week – I love it. So plug in your earphones so no one can catch you listening, and check it out here. She's at her most country and simply sounds so endearing - I imagine all of these little girls singing along to this song and feeling good about themselves and life.